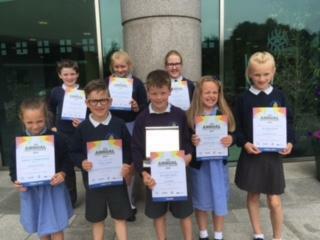 Well done to our boys and girls who received their certificates and prizes at an awards ceremony at the Island Arts Centre in the areas of visual art, poetry and music. 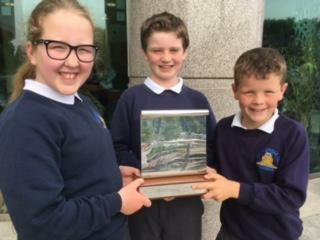 Ballymacash also came overall first in the category of visual art and received a second place for this years production of Aladdin in the drama category. We are very proud of the children and had a lovely afternoon celebrating their achievements!